He is a small boy who answers your questions politely and you can sense that he is a smart kid. He actually wants to be a doctor someday. Jimule Balisacan is an incoming Grade 4 student of Caniogan Elementary School in Calumpit, Bulacan. He is definitely excited to go back to school however, there’s one problem. He doesn’t have his school supplies yet. He doesn’t have his notebooks, pens, and pencils. His father works as a painter. The one who paints constructed houses. He still has three other siblings; one is in the same school as his – an incoming grade 2 sister. The two others are still young to go to school. With his father’s seasonal work and his mother as a house wife, it makes it difficult for Jimuel’s family to make ends meet every day, even buy the schooling needs of his and his sister. When lucky, his mother is able to buy five notebooks for each of them. This is not enough for all of their subjects in school. 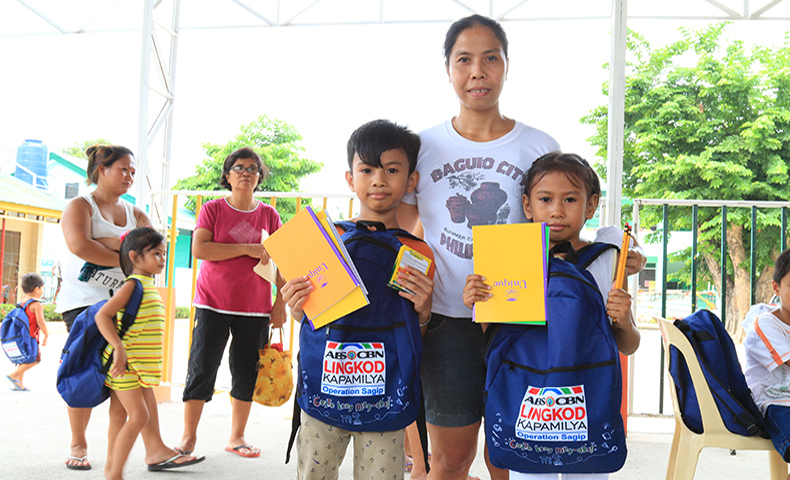 As Operation Sagip of ABS-CBN Lingkod Kapamilya Foundation, Inc. crisscross around the Philippines with its relief and rehabilitation projects, they have been hearing stories like of Jimuel’s who can’t attend school because their families have meagre means to buy their school supplies. This inspired the program to create the “Gusto Kong Mag-aral” Project that aims to encourage children to go and stay in school by giving backpacks with school supplies. 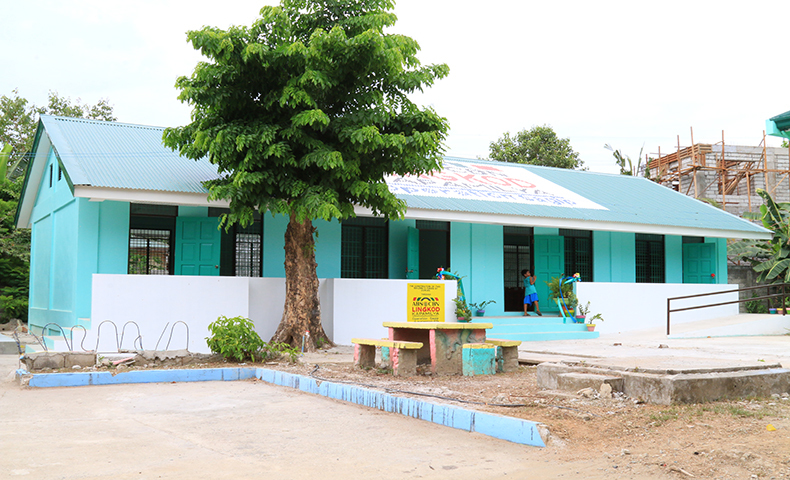 Operation Sagip officially launched its new project in two schools in Calumpit Bulacan – Arsenio Santos Memorial Elementary School and Caniogan Elementary School. Both of these schools are greatly-affected during typhoon season as the province of Bulacan is one of the catch basins of flood waters from Pampanga and Nueva Ecija. 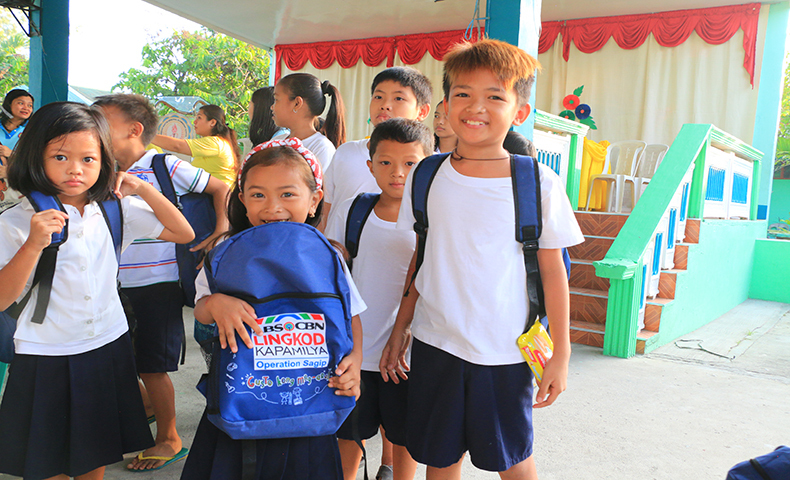 Through the donations it received, 722 students from Arsenio Santos MES received Gusto Kong Mag-aral backpacks and 500 benefited from the mobile kitchen operation during the launch. On the other hand, 470 students in Caniogan ES received the backpacks with school kits. Aside from the distribution of backpacks, the two schools are also recipients of Operation Sagip classrooms. 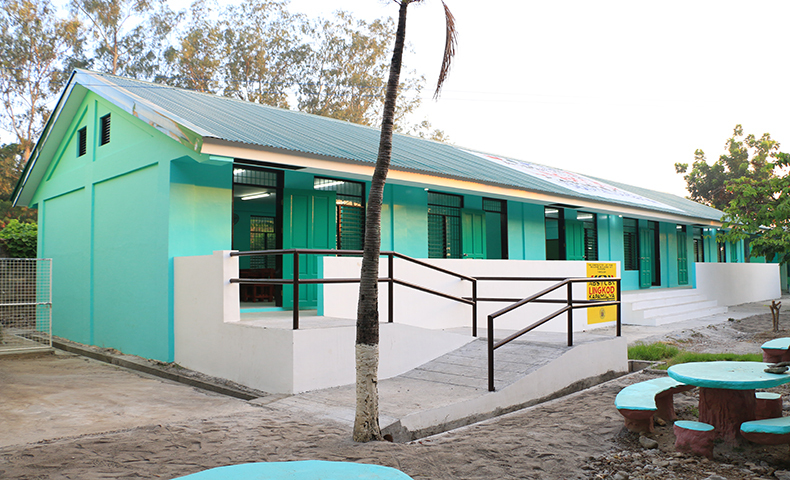 Arsenio Santos MES is a beneficiary of three classrooms while Caniogan ES has two new classrooms. These classrooms are typhoon resilient, based on the new design of the Department of Education, which can withstand 270kph intensity of wind. Each also has high ceiling, huge windows for proper ventilation, working wall fans and fluorescent lights, a complete set of arm chairs, and a curved chalk board, making it easier for the students to see what is on the board wherever they are seated. 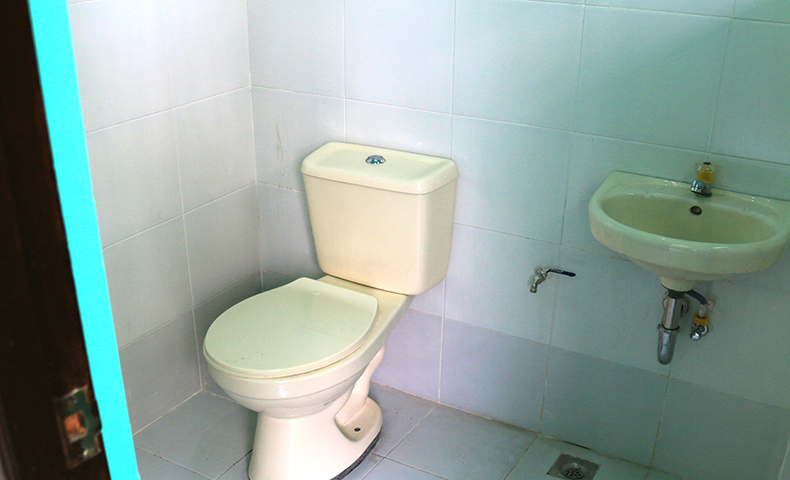 The classrooms also have toilets inside. 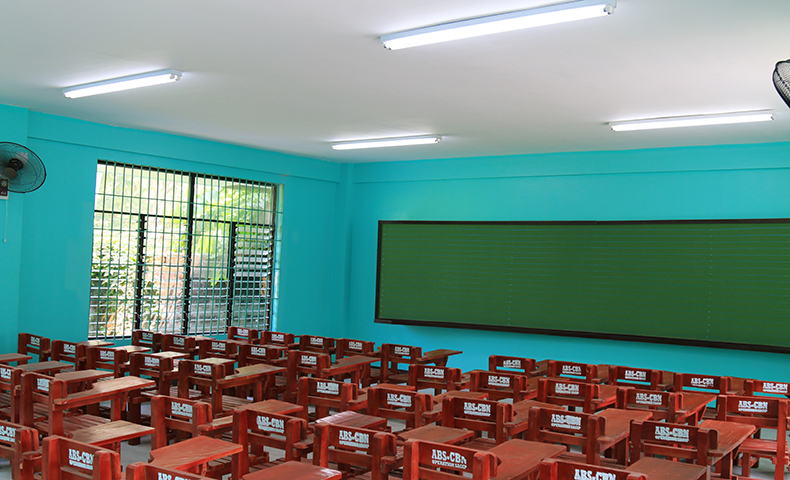 Since Bulacan is always affected by floods, the classrooms are elevated by more than a meter above the ground. They may also serve as evacuation centers when a typhoon or a bad weather comes. Gusto Kong Mag-aral project aims to reach more than 100,000 students in public school around the country. Operation Sagip plans to go to far-flung areas of Luzon, Visayas, and Mindanao, to assist children and families with basic educational needs. Jimuel is only one of the Filipino children who may not have a complete set of school supplies when he comes to school but still continues to study well to achieve his dreams and to help his family. Through donations, Operation Sagip continues to restore dignity in the lives of these children and families by giving hope. As of June 16, the project already reached 82,892 students in Palawan, Bukidnon, Bataan, Catanduanes, Albay, Camarines Sur, Camarines Norte, Bulacan, Zambales, Aurora, Ilocos Norte, Benguet, Quirino, Cagayan, Cagayan de Oro, Pampanga, Nueva Ecija, Laguna, Batangas, Mindoro, Quezon, Pangasinan, Panay Island, Isabela, Nueva Vizcaya, Kalinga, Lanao del Norte, Cebu, Bohol, Samar, Leyte, Iloilo, and Quiapo. The distributions in Batangas and Mindoro were carried out in partnership with ALKFI-Bantay Kalikasan; the activities in Palawan and Bukidnon were done with Operation Sagip’s Programa Genio; while the project in Laguna was completed together with Operation Sagip’s BayaNiJuan. To support Gusto Kong Mag-aral and other projects of Operation Sagip, visit www.abs-cbnfoundation.com, follow the #GustoKongMagAral tag online, or call 411-4995.